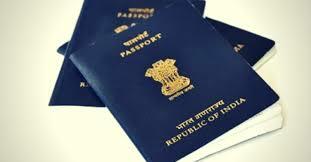 the passports under this scheme are delivered quickly compared to regular passport service. 2. Two appointment quota 'Normal' and 'Tatkaal' are available for 'Tatkaal' applications. Tatkaal applicants who are not able to book an early appointment under Tatkaal quota may consider booking an appointment under Normal quota also. However, Tatkaal fee will be charged irrespective of the quota under which appointment was booked by the Tatkaal applicant. 3. Indian citizens belonging to Nagaland cannot apply for the passport under the Tatkaal scheme. 4. In case your passport has been damaged but recognizable, i.e. passport number is readable, name is legible and the photo is intact, then you can apply for re-issue of passport under the Tatkaal scheme. But, if the passport has been damaged beyond recognition, then you cannot apply under the Tatkaal scheme. In that case, you need to visit Passport Officer at your nearest Passport Seva Kendra to get the passport on urgent basis.